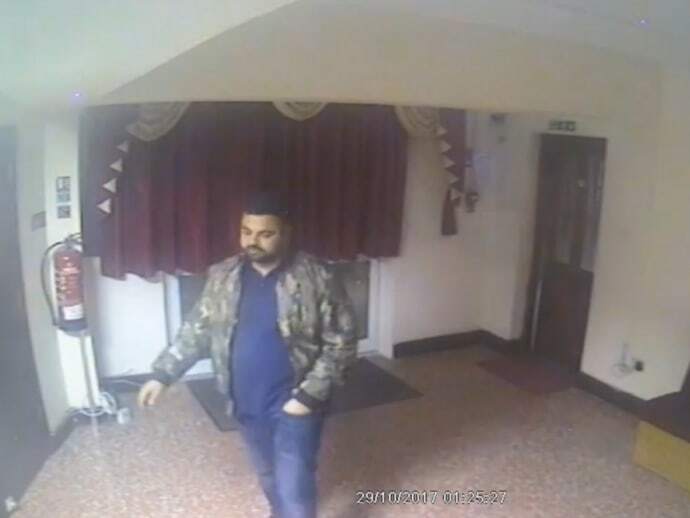 Detectives from the Child Abuse and Sexual Offences Command are appealing for information following a serious sexual assault in Barking. At approximately 22:30hrs on Saturday, 28 October the 19-year-old woman was out with her friends and stayed at the Barking Park Hotel, Tanner Street, Barking. In the early hours of Sunday, 29 October, the suspect walked into her room, removed her clothing and sexually assaulted her. The victim left the hotel minutes later and made her way to a family member’s house where she was able to contact police. The suspect is described as a large Asian man, mid 30s with dark hair and a beard. He spoke with a London accent and drove a silver coloured Audi. He is believed to be known as ‘Jay’. Detective Constable Angela Nemeth, of the Met's Child Abuse and Sexual Offences Command, said: "The victim was out with friends and later went to sleep in her room. The suspect, whom she had met earlier that evening, entered the room whilst she was asleep and sexually assaulted her. Anyone with information is asked to call police on the police non-emergency line on 101 or anonymously on Crimestoppers 0800 555 111 or by Tweeting @MetCC.